During winter we are flexible with times on this tour. If you are interested get in touch with your requested time and surely we can coordinate with you if you do so well in advance. After the turn of the century the Icelandic banks, Kaupthing, Landsbankinn and Glitnir expanded at an astronomical pace, financing corporate vikings who went on a buying spree snatching up everything from department stores like The House of Frasier in London or Luxury Hotels like D’Angleterre in Copenhagen to real estate in Hong Kong. The Icelandic financial miracle came to an end in 2008 when the overleveraged banks collapsed in one of the largest financial crashes in history. The bankruptcy of Kaupthing, the largest and most aggressive of the Icelandic banks, was significantly larger than the bankruptcy of Enron and if we consider the bankruptcy of the three large Icelandic banks as a single event it would rank as the third largest bankruptcy in history. The events since the collapse of 2008 are equally remarkable. In the winter of 2008-9 Icelanders took to the streets in the “pots and pans revolution”, which has been seen as an inspiration to protest movements across Europe. Iceland has also sentenced more bankers and high flying financiers to jail than most other countries. Details: The tour will take you to some of the sites of this dramatic and colorful history. We will learn about the financial and political history of Iceland and answer questions like: What was really behind the Icelandic Financial Miracle? Why did the Icelandic banks Collapse? Was it all just a giant Ponzi scheme? What happened to the bankers? What was the “Pots and Pans revolution” all about, and why have Icelandic bankers been sentenced to jail? Children are welcome on the tour, they walk for free, but we wouldn’t recommend to bring children on this tour. The tour is wheelchair accessible and we cover mostly flat ground. With the chance of going indoors in case of bad weather to warm up. The walk itself is roughly 2.5 hours (150 minutes), distance covered about 3km (2 miles). Magnús Sveinn Helgason is a historian and has taught economic and financial history at the University of Bifröst since 2010. In 2009-10 he worked for the Althing Special Investigative Commission on the collapse of the Financial System, authoring the fifth addendum to the commission report. Magnús has also worked as a broadcaster, columnist and journalist, writing on business, finance and history. 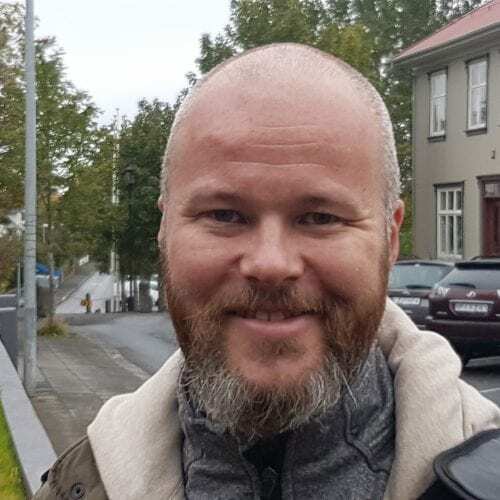 In the fall of 2008 he worked as a business journalist at Fréttablaðið Markaðurinn. You can find some of his articles on Icelandic finance in English at the Reykjavík Grapevine Magazine. – Extremely small groups and very personal tour. Max 12ppl per slot. – Please turn up 5 minutes before to check in with Magnús, your guide. Children and teenagers are of course welcome on the tour, accompanying their parents. Magnús will do his best to keep them entertained and involved but please bear in mind that the material used might be a bit hard for them. High level of financial literacy is not a must, anyone interested in the topic will keep up. The Financial tour is also available for groups. 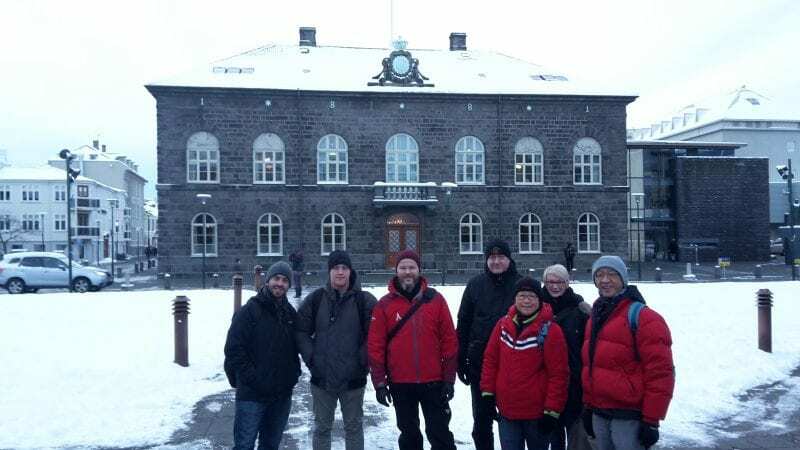 We’ve frequently received a group of university students that would like an introduction to this topic and mix it up with a general intro to Reykjavík city and the basic history of Iceland. If you want to setup a private session, don’t hesitate to send us a message through our private tour form and we will do our best to accommodate you. This walking tour was one of the most interesting walks that I did while overseas. 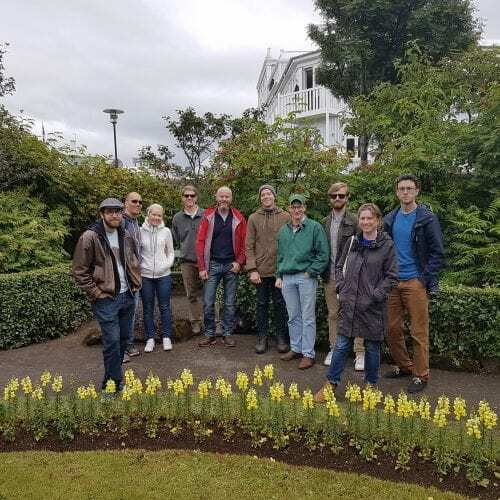 Magnus took us on a fun and informative journey of Iceland’s financial history and the story of the largest banking collapse in history while visiting the sights of Reykjavik. The impact of the story was brought to life by seeing and standing in front of the buildings and locations where the major events took place. While I am not a financial person, I was able to understand the mechanics of what led to the largest banking collapse in history and the interplay between the government, the major players in the industry and the psychology of the public which allowed things to occur which would normally be prohibited in more established financial systems. It is a great credit to Magnus for doing such a great job in explaining a highly technical subject in such a memorable and entertaining way. Walk the Crash was an amazing experience! I found this walking tour online and thought the subject matter sounded interesting. An explanation of the 2008 financial crisis? Sign me up! But then it exceeded my expectations! Magnus was an excellent tour guide. He was knowledgable, funny, and gave us a first hand account of the the economic development of Iceland from the view of someone who had lived through it all. This was my favorite tour we had in Iceland. Magnus should write a book about the financial crisis, it’s wonderful material. I would definitely be his first customer! We saw some interesting sights during our visit to Iceland — the geysers, the waterfalls, the glaciers and so on. 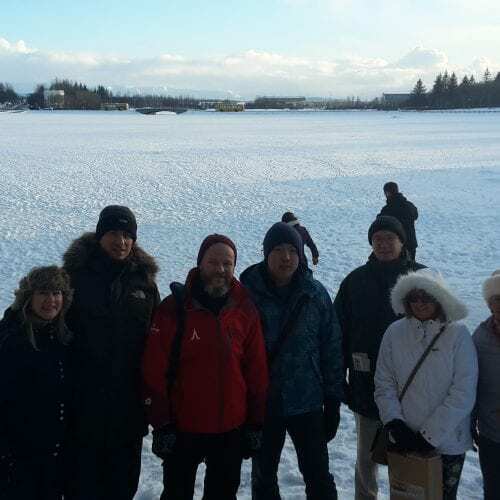 But, no visit to Iceland can be complete without exploring how a bunch of fishermen became investment bankers and created one of the biggest financial collapses in the history of the world. Now that’s interesting! Nobody in Iceland likes to talk about it — except Magnus. And, he does a great job of it. He starts the tour at Reykjavik’s White Elephant — a huge hole in the ground where a world-class bank building was planned back in 2008. From there he does indeed “Walk the Crash” — pointing out things like the bankrupt bank now turned into a tourist shop, the big houses where the bankers once lived and the jailhouse where they now live. Magnus is an economic historian — so he’s a perfect guide. And, he’s full of juicy anecdotes about the Viking billionaires. I loved it!